AVER LEX is the leading white-collar crime boutique law firm in Ukraine, focused on high-profile economic crimes and politically motivated prosecutions. The firm is focused on defense in compound and complex cases (parallel of the group of parties, in different regions of Ukraine), which demands unrivalled human capacity or experience, knowledge or level of expertise. The majority of cases are unique and first-hearing cases that set precedents for the criminal judiciary system in Ukraine and established practice for future hearings. These cases are highly public; require massive, regular and open communication with the entire spectrum of media outlets in Ukraine. The client portfolio includes state officials and high net worth individuals looking for protection from politically motivated prosecutions, consulting and law firms, big corporate clients (Odesa Portside Plant, Diamant Bank, ZTE Corporation, Bunge Ukraine, BRCM-Nafta, Total Ukraine, LLС UICE Group, etc.). The team consists of 25 specialists in the sphere of criminal law and litigation, including 5 partners, who are actively involved in every project. In 2017 our team was strengthened by the arrival of Artem Drozdov as a new partner due to his ability to generate new business and proficient management skills as well as other well-respected, experienced attorneys. All advocates in their work underscore perfection of criminal practice, development of effective and active strategies of defense from illegal revisions by control and law-enforcement bodies in accordance with the specific nature of the business, from their negative consequences, seizure of businesses by raiders, pressure from the law-enforcement bodies via stress searches, arrests or persecution, etc. To ensure the rights of our clients and to prevent them being violated, the Firm cooperates with a number of leading worldwide and local human right organizations within the framework of ongoing matters. These include Amnesty International in Ukraine, Transparency International Ukraine, Ukrainian Helsinki Human Rights Union, Ukrainian Human Rights Union, Amnesty International European Institutions Office etc. AVER LEX is recognized as the leader (Band 1) in “Litigation: White-Collar Crime” sphere by Chambers and Partners 2017, Olga Prosyanyuk and Vitaliy Serdyuk are top-ranked among lawyers. 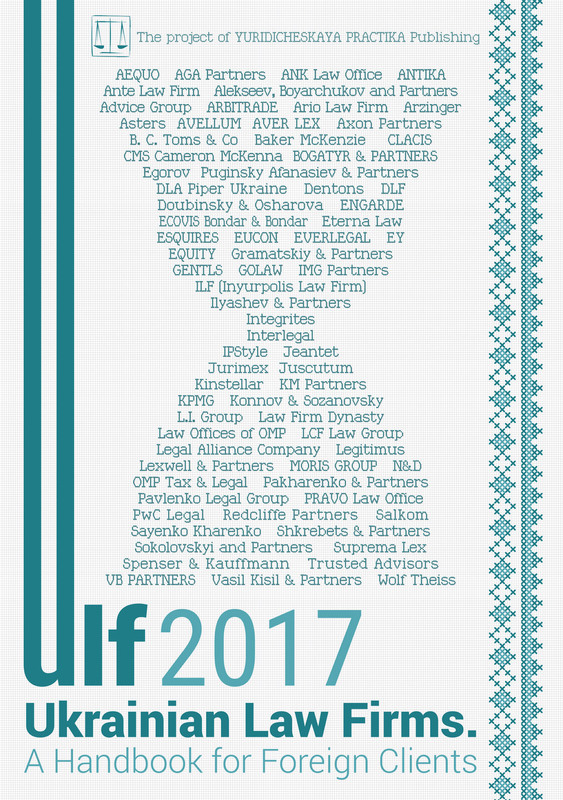 According to Who’s Who Legal 2016, Olga Prosyanyuk has been the only one Ukrainian lawyer named among leading attorneys in Business Crime Defence. Legal 500 EMEA 2017 named AVER LEX and its partners as among leaders in dispute resolution. Criminal Proceeding — a Means of Investigation or Prosecution? Last year was notable for its active implementation of the idea of adaptation of Ukrainian legislation to European standards and, in particular, the practices of the European Court of Human Rights. Most active and planned amendments aim to improve the tasks of a criminal proceeding. Although one of the main important tasks of a criminal proceeding is to ensure that a lawbreaker is brought to account and an innocent person avoids conviction, current legislation can hardly correspond to the above-mentioned. This has a negative influence on a business sphere as well as citizens. It is now typical to impose changes to criminal procedure legislation that would facilitate putting the illegal pressure by law-enforcement bodies. You can observe this in application, for example, of a recently implemented procedure of “in absentia” investigation. The Criminal Procedure Code states that in certain cases an investigation can be carried out without a person’s participation, namely: 1) a suspect is hiding from the investigating bodies with the purpose of evading responsibility, and 2) is put on the interstate and/or international wanted list. Such a procedure would create a mechanism that excluded mass application of an “in absentia” investigation and could be implied exclusively to lawbreakers hiding from investigation. However, on 12 May 2016 the Verkhovna Rada of Ukraine adopted the Law On Amendments to Some Legislative Acts of Ukraine Regarding Work of the Prosecutor General’s Office of Ukraine No. 1355-VII, according to which temporarily, till 15 April 2017, a special order of a special (“in absentia”) investigation was established. The Law states that one of the following criteria is sufficient for an “in absentia” investigation: (1) if a person is hiding with a purpose to avoid a criminal responsibility and/or (2) is hiding over 6 months and/or (3) there is evidence that a person is outside the borders of Ukraine, on the temporarily occupied territories of Ukraine or in the region of the Anti-Terrorist Operation. Unfortunately, investigating judges often formally evaluate the arguments and the investigation evidence; that is why implementing such changes caused a negative practice, when the means of a criminal procedure are used illegally to achieve personal goals. It means that when a person is going abroad on business or pleasure it can be used to initiate an “in absentia” investigation regarding this person with the purpose, for instance, of settling a business conflict. However, in connection with a short term of a temporary order, in 2016 the Verkhovna Rada of Ukraine repeatedly initiated changes to the Criminal Procedure Code of Ukraine regarding, it would seem, improving the mechanisms of ensuring the tasks of a criminal proceeding. And these draft laws envisage prolonging a term for a special order of a special (“in absentia”) investigation; because, in fact, the law-enforcement system did not achieve the planned results with the help of this procedure. Finally, on 16 March 2017, the Verkhovna Rada of Ukraine adopted the Law of Ukraine On Amendments to the Criminal Procedure Code of Ukraine Regarding Improving the Mechanisms to Fulfil the Tasks of a Criminal Proceeding No. 1950-VIII. The final version that was adopted prolonged the term for the so-called “temporary” order of application of a special pre-trial investigation with certain peculiarities till the day when the National Bureau of Investigation starts its work. As we know, talks on the creation of the National Bureau of Investigation have continued for a long time and nobody knows when this process will finish. In reality so-called “improvements” are made to facilitate the work of law-enforcement bodies and selectness of legislation, but not for protecting the rights of the participants of a criminal proceeding. The issue of illegal pressure on business by law-enforcement bodies is still of equal importance. The “victims” are not only Ukrainian companies, but also foreign and with foreign investments companies, which our power representatives are so proud of. One can often observe cases when law-enforcement bodies visit enterprises with searches without any reasons for this, without a preliminary inquiry to provide documents or to receive a temporary access to documents on the basis of a resolution issued by an investigating judge. Moreover, in many cases permission to search premises is received on the basis of formal and pattern arguments. At the same time, when a company does not have qualified legal aid from a lawyer, property that is not indicated in the search permission resolution is confiscated. And its return is complicated by duration and procedural complications. There are also cases when a company’s work is blocked by permanent summons for company management to appear for questioning, and overly frequent requests from it to provide documents, additional data, and to arrest assets. And one reason for such actions can be persuading workers of the company to provide illegal benefit (corruption acts) by a representative of law-enforcement bodies, “putting a contract” on a competitor or an ordinary collection of working “indices”. Besides, legislators do not pay any attention to a great deal of defects. For instance, law-enforcement bodies have the possibility to abuse the right to get a search permit for, because legislation does not determine the strict differentiation of circumstances when one can send an inquiry to the enterprise on providing documents, or initiate receipt of temporary access to documents or initiate a search. Furthermore, the legislation does not determine mechanisms of effective resistance to law-enforcement bodies, when they put pressure on the clerks of an enterprise. The only way out is to make a complaint to a higher hierarchy body. However, very often such complaints receive formal replies. The Criminal Procedure Code of Ukraine states a procedure of a court appeal against not entering any data about a crime by an investigator in the Unified Register of Pre-trial Investigations; it means not initiating a proceeding on the basis of an application. However, there is no appeal procedure against the initiation of a proceeding if it was done unreasonably. It would be very relevant; taking into consideration that the means of initiation of a criminal proceeding are not always used within the law. In general, one should mention, for minimizing pressure by law-enforcement bodies to the business sphere, Ukrainian legislation requires the stepping up of court control on ensuring the protection of rights of the participants of a criminal proceeding. 1. It is necessary to monitor information regarding an enterprise in the Unified Register of Court Resolutions. 2. If any information on possible revision of an enterprise and its clerks by law-enforcement bodies within a criminal proceeding appears, it is necessary for an advocate to receive an official confirmation or refutation of such information via submission of an advocate’s inquiry to a corresponding body. 3. In the event that information on a criminal proceeding, within the framework of which an enterprise and its clerks are revised, was confirmed, it is important to send an appeal to the pre-trial investigation body and a corresponding court for obligatory involvement of an advocate in any litigation procedures. 4. A representative of an enterprise or an advocate monitors information in court regarding examination of corresponding petitions of an investigator regarding the rights and legal interests of a company and its clerks. 5. If it is impossible to be present during the interrogation at the investigating body, it is necessary to inform an investigator (and to provide corresponding documents) on the significance of the reason for failing to appear. 6. In order to minimize the risks of initiation of a search, it is essential to indicate in the procedural correspondence about the readiness to cooperate with a pre-trial investigation body and to provide necessary data in response to their inquiry. 7. It is important to cover the issue in the mass media, to complain not only to the management of a corresponding investigative body, but also to state officials in the corresponding sphere. Based on the analysis of realities of application of criminal procedure legislation by law-enforcement bodies and the indifferent attitude on the part of representatives of the state bodies to this situation, one can come to the conclusion that legislators are now taking more steps towards “a punishment instrument” rather than towards European standards and encouraging investment to come into the Ukrainian market. That is why a criminal proceeding can be used as a means of prosecution rather than a means of effective investigation.